2014 marks the 42nd anniversary of Bloody Sunday in Derry. Join the families in their continuing campaign for truth and justice at the annual Bloody Sunday march. Sunday 2nd February 2014. Assemble at Creggan Shops, Central Drive, Derry, at 2.30pm. 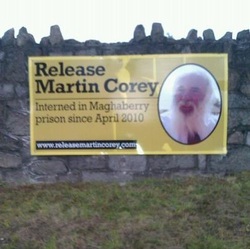 After what amounts to nearly four years of internment Martin Corey was finally released from Maghaberry on January 15. He had been incarcerated on secret evidence gathered by secret police and held without a charge or a trial since April 2010. The British Government, secretary of state and all those involved in the internment of Martin Corey showed contempt for democratic and human rights and were essentially involved in a despotic policy of ruling by decree. The Release Martin Corey Campaign has thanked everyone who was involved in supporting Martin, such as the countless activists who stood on picket lines and those who went to jail themselves to highlight Martin’s case. 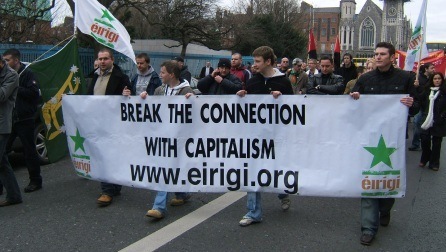 Martin is a republican activist from Lurgan, Co. Armagh. At age 19, he was sentenced to life imprisonment in December 1973 and spent the next 19 years of his life in jail until he was finally released, without signing anything in June 1992. Then, without warning, on April 16, 2010, he was taken back into custody. No reason for his re-arrest and incarceration has ever been given to him, his lawyers or the public. Dominic Gaughan – Gorey, County Wexford. Another blog piece has just reached 1,000 hits, namely Nationalisms and anti-nationalisms in Irish historiography. This makes six pieces that now have 1,000 or more hits (as well as, obviously, Home Page and About). 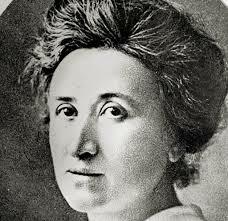 Meanwhile, Politics and the rise of historical revisionism has become the third piece to reach 2,000 hits. The protest will coincide with the commencement, next week, of the trial at Belfast Crown Court of Newry man and éirígí party member Stephen Murney, who has been imprisoned since December 2012. Last month, in response to a ‘no bill’ application made by Stephen Murney’s legal team in November, a judge dismissed a number of charges against the Newry man relating to “items for use in terrorism”. Those charges related to old band uniforms of Stephen’s and to toy guns belonging to his son – facts that had been consistently presented by the defence ever since Stephen Murney was first charged in 2012. 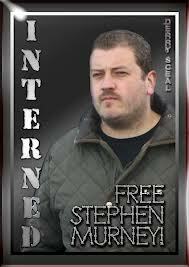 Since Stephen’s initial arrest and detention in 2012, the PSNI and the prosecution had repeatedly used those “terror” charges and the items they related to as some sort of evidence to show Stephen’s involvement in a “terrorist conspiracy”. Still listening a lot to Damien Dempsey, especially Almighty Love, Chase & Status’ No More Idols and heaps of Seth Lakeman. My favourite 1960s female singer is Julie Driscoll and I have most of the stuff she did from Streetnoise on, apart from the more obscure free jazz stuff, which I tend to find unlistenable although I realise that her hubby, Keith Tippett, is a very talented guy and I admire his commitment to his craft rather than opting for a more profitable career. Recently, more Jools, Brian and the Trinity stuff, however, has appeared on youtube, although there was already quite a bit there. So I’ve been watching a 30-minute stint of them from a Dutch TV show in 1968. They do ‘Wheels on Fire’, ‘Road to Cairo’, ‘When I was a Young Girl’ and ‘Season of the Witch’. ‘Young Girl’ is probably Driscoll’s most impressive vocal performance from that era and it’s interesting to see how powerfully she could produce those vocals live, not just on Streetnoise. So I’ve been back listening to a lot of Jools. Her stuff with Brian Auger & Trinity, her first two solo albums (1969 is one of my all-time favourite albums), her one-off reunion with ‘Auge’ (Encore), and the album her and Keith made with Nostalgia 77 in 2009 (Nostalgia 77 Sessions feat. Keith and Julie Tippett). Below are the ten most hit-upon pieces on the blog. The top 2 now both have over 2,000 hits, while the one on historical revisionism is quite close behind. The following interview with Frank Keane was carried out by Mick Healy. Frank was in Sinn Fein in the 1950s and 1960s; a member of the IRA in the early 1960s, including being O/C of the Dublin brigade; subsequently a member of the Irish Workers Group in London (1965-67) and then a founder-member of the Marxist-republican organisation Saor Eire. 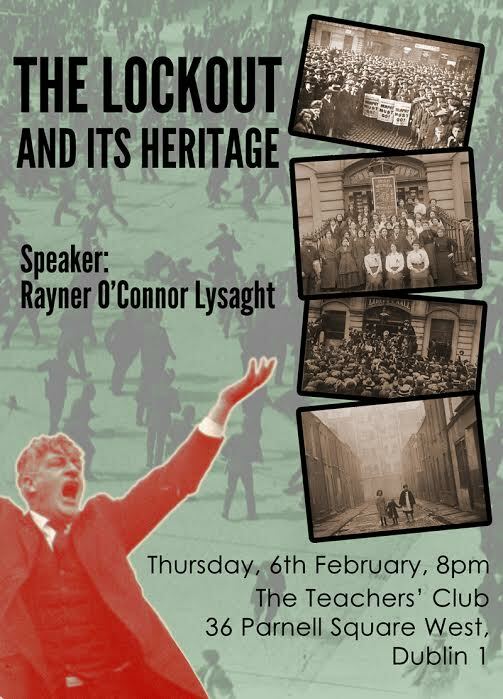 The interview appears on the Irish Republican Marxist History Project, along with video interviews Mick is currently building up.